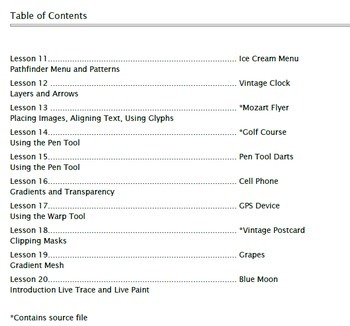 10 Adobe Illustrator lessons for beginners and intermediate students. Adobe CS3 Tutorials. Since 2011, teachers have been using these great tutorials. The lessons are loaded with screenshots and "click here" guidance. The lessons were also developed in CS3 and should work nicely up to CS5. If you are using CC, some of the tools are now located in different areas on the toolbar so you may need to locate some of the tools ahead of time for your students. The eworkbook is a pdf and there are 4 source files included. 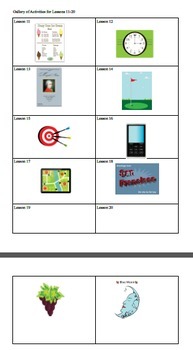 You can print the lessons or drop the files on your school server. 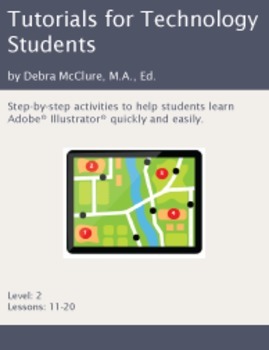 This classroom eworkbook can only be used by the teacher who purchased it.